ROME — It has been a question of theological debate and liturgical interpretation for years, and now Pope Francis has joined the discussion: Does the Lord’s Prayer, Christendom’s resonant petition to the Almighty, need an update? In a new television interview, Pope Francis said the common rendering of one line in the prayer — “lead us not into temptation” — was “not a good translation” from ancient texts. “Do not let us fall into temptation,” he suggested, might be better because God does not lead people into temptation; Satan does. 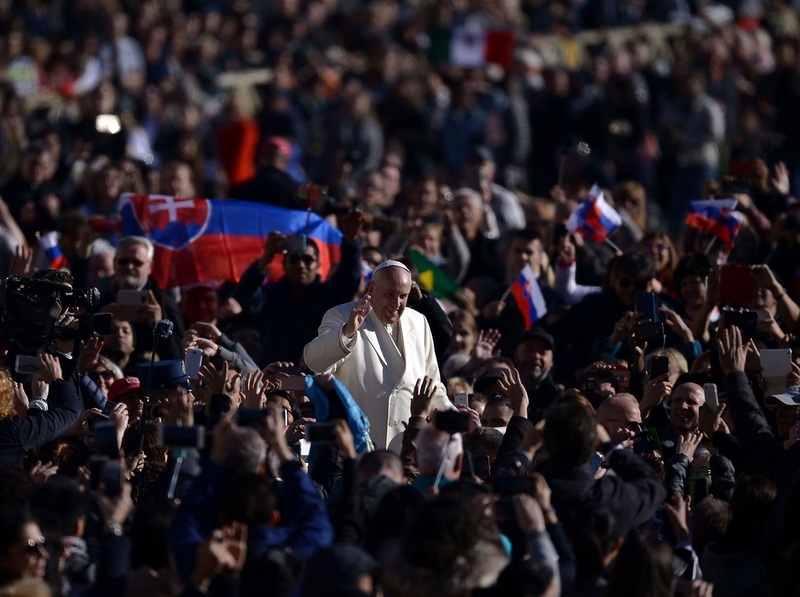 While Francis’ remarks were not a decree to change the prayer, he has once again set off a debate on how far a pope can or should go in shaking up longstanding tradition, and even doctrine. He has already angered Catholic traditionalists by reconsidering the prohibition on granting communion to the divorced and remarried, and by taking on issues like climate change and economic inequality, as well as with famously freewheeling remarks like “who am I to judge?” about gay people. Philip F. Lawler, editor of Catholic World News, a conservative website, said that while the pope’s critique about the translation of the line “isn’t unreasonable,” if Francis actually intends to change the prayer, “it’s very upsetting” because it is so deeply ingrained for Catholics. Some conservative evangelicals were also quick to respond. On Sunday, French churches began using a version of the Lord’s Prayer in which the line “Ne nous soumets pas à la tentation” (roughly, “do not expose us to temptation”) was replaced with “Ne nous laisse pas entrer en tentation” (“do not let us give in to temptation”). The new French version had been discussed for several years, according to Guy de Kerimel, bishop of Grenoble, who said the previous wording was “often misunderstood by believers,” as many parishioners interpreted it to mean that God himself was responsible for the temptation that leads men to sin. Other French-speaking churches have already made the switch to newer wording. In Belgium and Benin, the revised Lord’s Prayer was introduced earlier this year. The United Protestant Church of France also validated the change during its national synod in 2016. The Church of England has two forms of the Lord’s Prayer — traditional and contemporary — but both use the same wording in seeking protection from temptation, according to the church’s website. The pope’s reflection was part of a nine-episode commentary on the Lord’s Prayer that TV2000, which is owned by the Italian conference of Roman Catholic bishops, has broadcast every Wednesday evening since October. Each program includes an exchange between the Pope and the Rev. Marco Pozza, a prison chaplain in Padua known as “Father Spritz,” after the renowned Venetian aperitif, because of his work evangelizing young people in bars and on the streets.